The name that this mine usually goes by, The Big Hole, leaves little to the imagination. Cut 240 meters deep, Kimberly Mines is the largest open-pit mine excavated by hand. The site, originally attached to the Da Beers brothers led to a scramble for claims similar to the Mahoning mine. 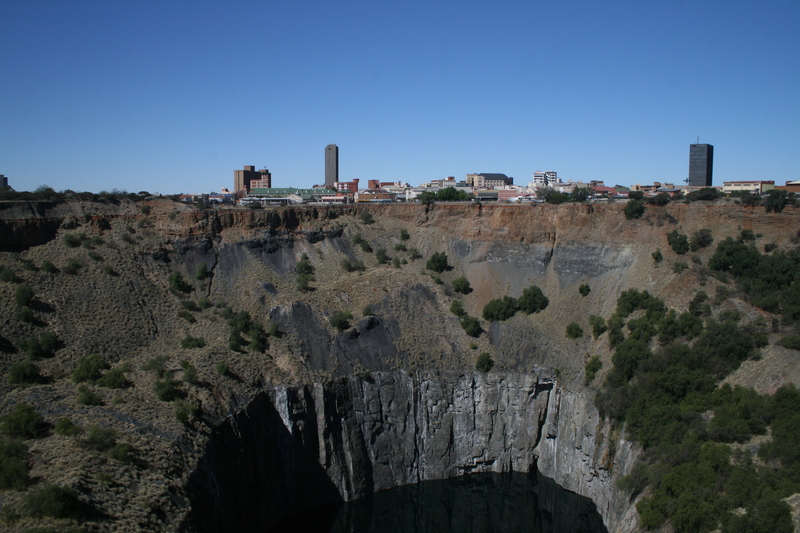 After 16 years of horrid conditions, the smaller mines in the region decided to amalgamate all the diggings projects into one company: the Da beers Consolidated Mines Limited. Having been abandoned for almost 100 years, the mine is being turned into a World Heritage Site.